With Thanksgiving fast approaching, and everyone’s thoughts turning to the big feast, I decided to look at some of Harley-Davidson’s turkeys that made news in 2008–albeit for the wrong reason in my opinion. It’s never nice to point out the flaws in plans, products or ad schemes if they are questionable, failed or are in the process of going downhill, but it would also be irresponsible to simply just forget the follies of some of Harley’s bigger turkeys. Not sure how I missed this with the 13 press releases on July 22, 2008, but thanks to “ride-it-like-you-stole-it” for commenting on my 2009 line up post. Harley-Davidson is officially moving into the three-wheel (trikes) motorcycle segment with the introduction of the Tri Glide Ultra Classic. 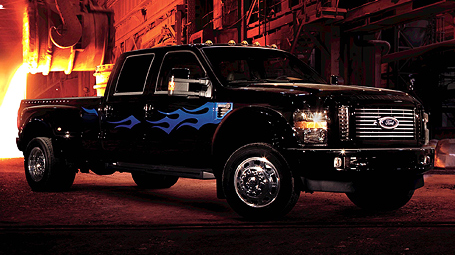 It’s based on a new chassis specifically built for the three-wheel market. The Tri Glide will be sold (MSRP of $29,999) and serviced by the dealer network and covered by a two-year warranty. It was about this time last year that Harley signed a deal with Lehman Trikes USA of Spearfish, SD to design and build Harley based trikes which I blogged HERE. It turns out that Lehman Trikes posted a press release stating they are doing the conversion services for Harley’s Tri Glide motorcycle production. 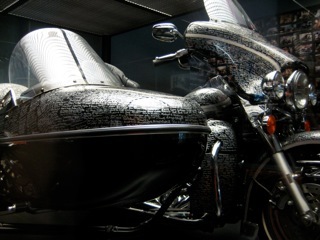 Lehman will provide components, paint, and conversion services in the manufacture of the motorcycle. The original Harley link on their web site last year is now a dead link. A couple of notables on the Harley “three-wheel” strategy. The motorcycle has a new rear-axle assembly that utilizes an aluminum center section with steel axle tubes. The rear suspension features dual air-adjustable rear shock absorbers. 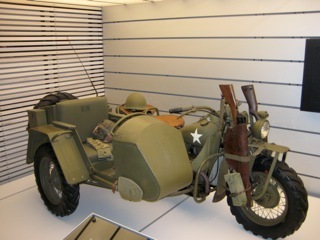 It’s powered by a Twin Cam 103 cu in engine with Electronic Sequential Port Fuel Injection (ESPFI) and 6-speed Cruise Drive transmission used on current Touring bikes, but adds an optional electric reverse ($1,195) integrated with the rear differential assembly that is engaged with a handlebar-mounted reverse module. 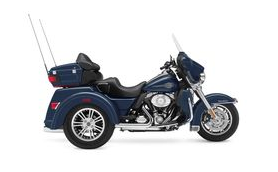 The Tri Glide has dual front disc brakes and a Hayes Brake dual-disc rear brake system with a lever-actuated, integrated park brake. As I stated in my previous post it’s not clear who is the targeted demographic. Is it something to take your poodle for a ride or a legitimate use to target the older demographic, or the more safety-conscious and/or disabled? Interesting is the fact that the Harley-Davidson web site is devoid of ANY information or digital media animation about the Tri Glide. Makes me wonder just how much this three-wheel strategy is being rolled out?